I wonder how often people forget that The Hunger Games series is a story about teenagers. Teenagers thrown into horrible situation after horrible situation sure, but teenagers all the same. The most mind boggling thing someone ever told me about when the movies were being cast was that Hailee Steinfeld, who was 14 or 15 at the time was too young to play Katniss compared to Jennifer Lawrence, who was not even 21 yet when she was cast. Do people forget that the series is about teenagers, or do we just want to forget it’s about teenagers? Yet leave it to a teenager to perfectly capture the feel of Katniss Everdeen in Mockingjay through song. I was a big fan of the first Hunger Games soundtrack, which was wonderfully dark and folk-y. However, I didn’t give the second soundtrack much of a chance because I hated the bland mess that was ‘Atlas’ by Coldplay. I guess that was unfair of me. Maybe I owe the soundtrack a late review since there are a lot of artists I actually like on there. I think it might have also been unfair of me to judge the soundtrack supervisors for picking Lorde to do the lead single for Mockingjay – Part 1. I don’t have anything really against Lorde. I just never understood the appeal of her music. The electro loops and hooks are kinda catchy, but her lyrics gave a serious vibe of teenage arrogance. You know… that period we all go through as a teenager where we think we know everything and want to emphasize that? I know I had that period as a teen. I just don’t get why people want to relieve it. However, I think I’m changing my mind on Lorde. 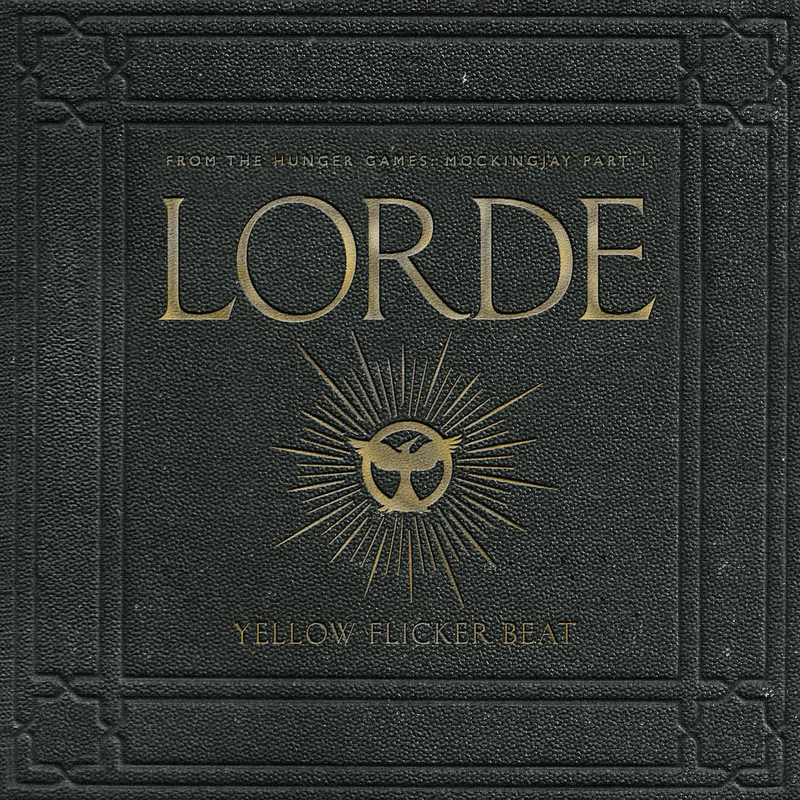 Between her Twitter account and ‘Yellow Flicker Beat,’ I’m actually starting to see a lot I like about her. For ‘Yellow Flicker Beat,’ it’s a song of resistance. Of becoming fire and stone in the wake of an oncoming storm. Basically… Katniss Everdeen becoming the Mockingjay. “They used to shout my name, now they whisper it,” Lorde sings against a rising electronic beat. If you’ve read the books, that line certainly drives home the outcast nature of Everdeen as she goes into hiding in District 13. However, the most telling line of the whole thing that shows that Lorde did her work is “And my necklace is of rope/I tie it and untie it.” ‘The Hanging Tree’ anyone? It’s not just for the lyrical shoutouts to the book series though. It’s the way the song gives a slow burn. I had to listen a few times to really get it, but the song really seems to give an evocation of waking up and standing up to the world with a fire burning inside of you the entire way. A fire that could burn anyone who ever tries to hurt you again. I just might be saying that though because I’m a fan of the line about creating a prison for anyone “who ever laid a finger on me.” Either way, this track is miles ahead of Coldplay for sure. Having a teenage girl write about the feelings of a teenage girl… who knew? You can listen to ‘Yellow Flicker Beat’ above or purchase the song on iTunes. No word yet on when the Lorde-curated soundtrack will release, but you can expect of a review of it when it does.